I spotted this dead something near the back door. 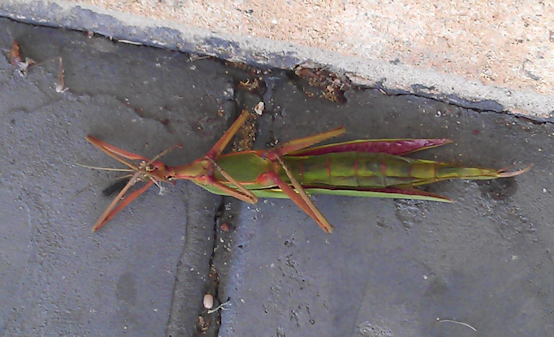 At first I didn’t know what it was, but when I turned it over, it was clear it was a large stick insect/praying mantis. 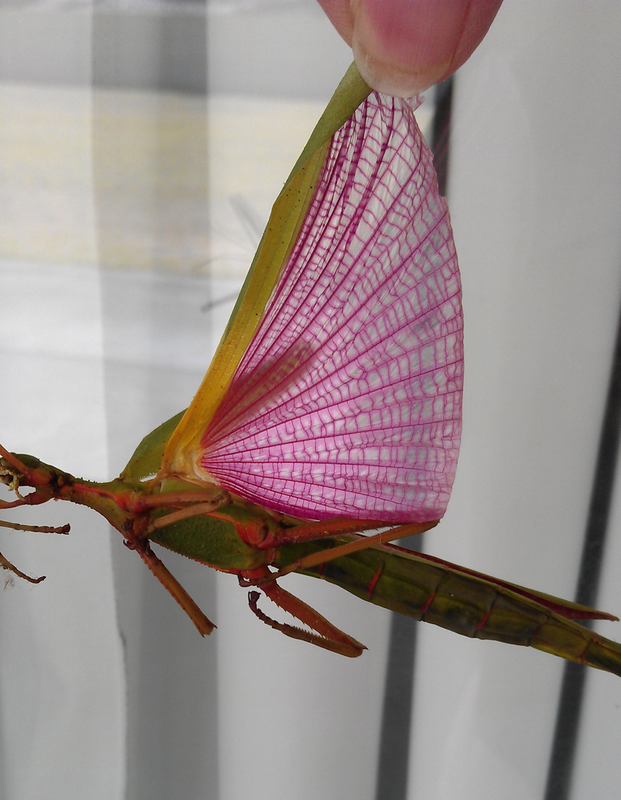 I picked it up by one of its now-dry wings, and saw the most amazing pink gossamer wing hiding underneath the green of the outer wing. So pretty. That’s a praying mantis, right? I’m always amazed by the beautiful colors and designs found in nature. Thank you for sharing this! I also love the photos you share of your lovely quilt work and of things in your daily life. Such a nice spirit.